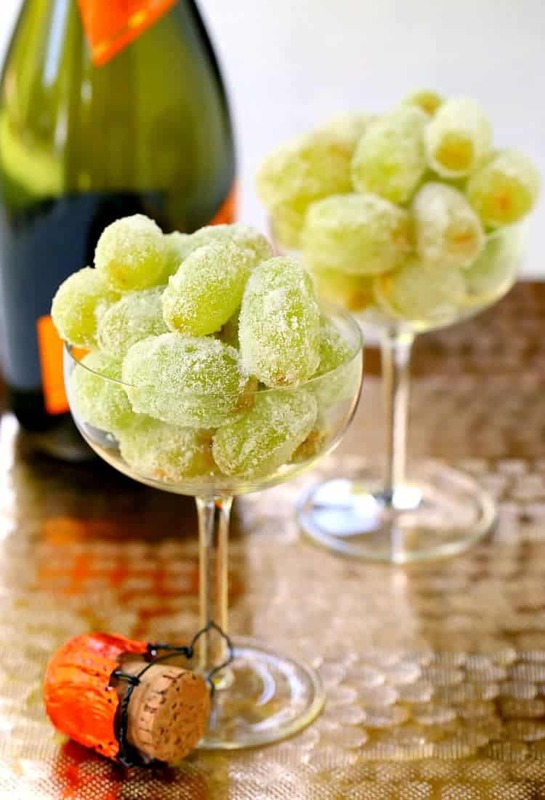 Kick up dessert tonight with these Sugared Prosecco Grapes! A three ingredient, boozy dessert that’s perfect for New Year’s Eve entertaining or any celebration! This is what I’m talking about people – three ingredients to a total knock out dessert recipe. 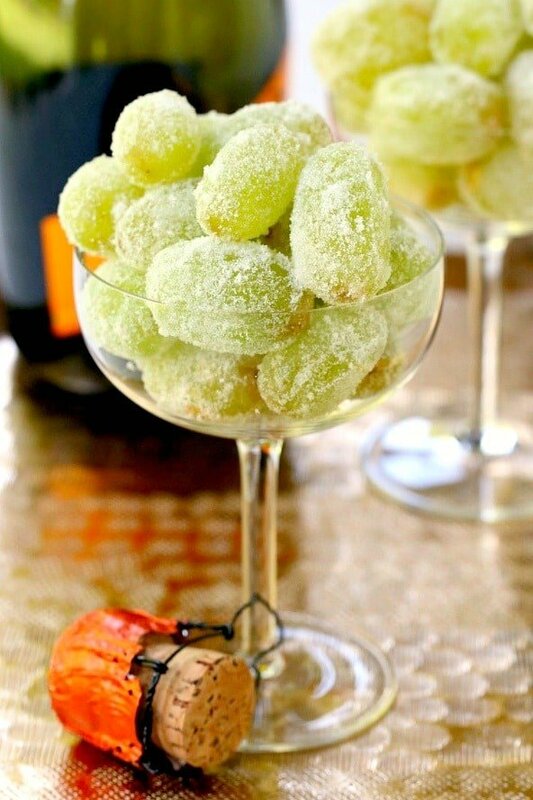 Just place a few bowls of these Sugared Prosecco Grapes out at a party and watch them disappear. And the best part is not only how they taste, but how easy they are to make. Sometimes after a big meal you want something sweet but you’ve already consumed your calories for a few days in one meal…but you know the old saying. But there’s always room for dessert! Especially when you’re talking about wine soaked grapes. As you know we’re big fans of boozy desserts around here for parties and these sugar covered grapes are no exception. 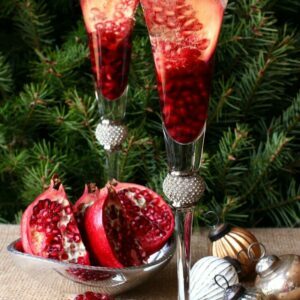 We love making booze infused pies or cream cheese dips – also with fruit. And boozy food isn’t just for dessert! We like to make boozy dinners and boozy appetizers, too. Hey, if you can get a boozy breakfast in there too I’ll take it. 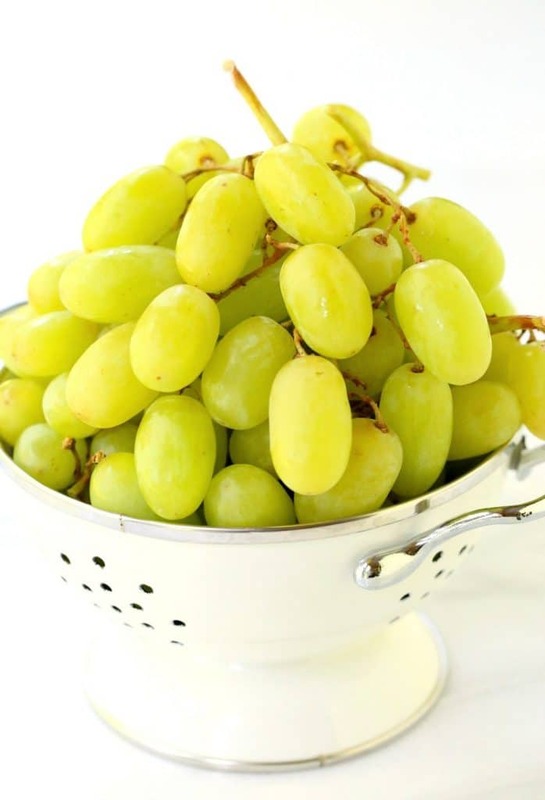 Now get yourself a bunch of grapes. First grab some prosecco that’s affordable and you like to drink. Now pour it all over those grapes. Get them a little (or a lot) drunk in all that prosecco. That’s it! This prosecco grapes recipe is sure to be a home run. 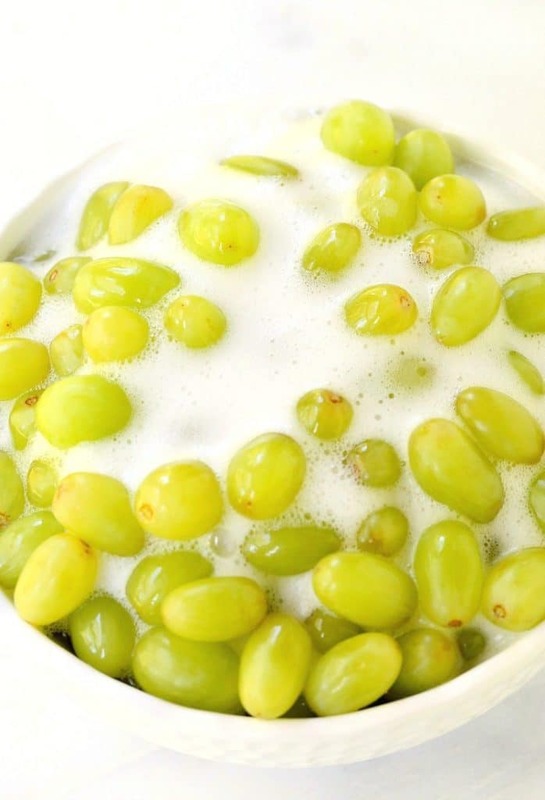 You could also take these an extra step and make frozen champagne grapes… Instead of that late night bowl of ice cream…have some of these wine soaked grapes instead. And it’s fruit. So it’s on the healthier side of things, right? Yeah there’s some boozy stuff going on too but that’s just going to happen anyway so you might as well just combine them. Don’t go buying your favorite 40 buck bottle of champagne here either. You can just grab an inexpensive 10 dollar bottle of prosecco and you’re going to get the same flavor in these grapes. Save the good stuff for straight up drinking, I say. 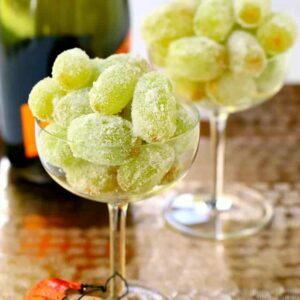 Make a whole bunch of these Sugared Prosecco Grapes for a party, for late night snacking or just an afternoon, boozy treat! 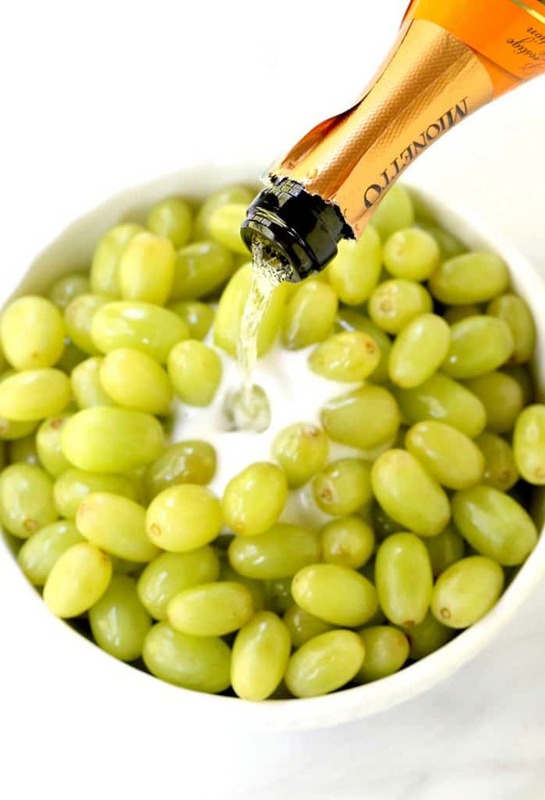 These boozy, fun champagne soaked grapes are perfect for parties, as is or frozen! Soak the grapes in a large bowl with the prosseco overnight or for at least 8 hours. Drain the grapes and dry off slightly. Roll into the sugar and serve. 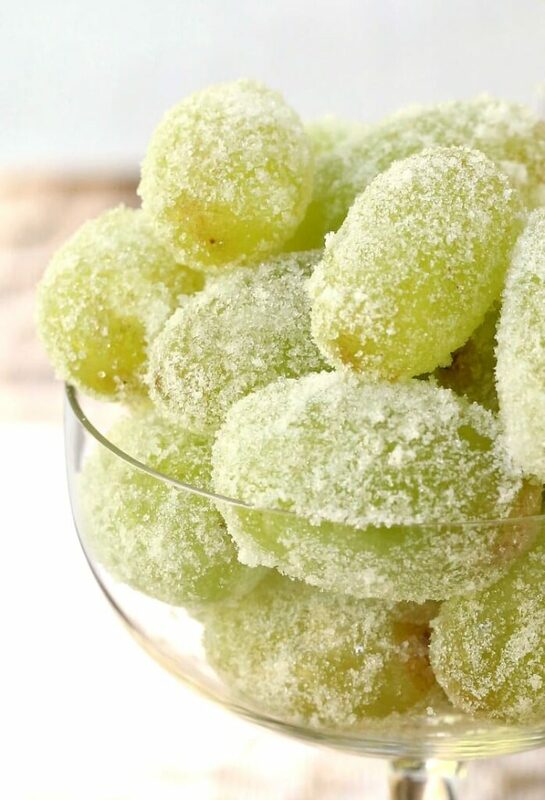 You can also freeze the grapes for a frozen treat! I love all things prosecco! Sounds amazing! We do too – thanks Lauren! What a great idea. Looks delicious! Should you use sanding sugar or granulated? Sanding sugar doesn’t dissolve like granulated but the sanding sugar I’ve got on hand is the large granule so I’m not sure if it’ll work. May try both and see how it goes. Take one for the team and eat any that don’t turn out. You do need to dry the grapes off after they soak in the prosecco so I didn’t find that my sugar dissolved that much at all unless they say for a while. Definitely let me know! Sign up to get our recipes & updates delivered to your inbox! © Copyright 2019 Mantitlement. All Rights Reserved.